Free World Order: WHERE IS JIMMY HOFFA? Today I wanted to talk to you about a subject which is little known outside the US; but not for this less important. I'm talking to you about the disappearance of Jimmy Hoffa. This year in February it was the 100th anniversary of his birth. That's why I wanted to talk to you about it. There are many theories about his disappearance. Some of them make little sense. But one theory in special calls the attention, and is that Jimmy Hoffa was involved or at least knew about the murder of JFK. According to this theory he was murdered to stop him from declaring at the House Select Committee on Assassinations. Hoffa would have been killed by a conjunction of the Mafia and US intelligence services. The Mafia may have had other reasons to murder him also, but this may have been the must important one. In this article we'll also give some attention to the other theories, but we'll center mostly on the connection of the Hoffa disappearance with the JFK assassination, which I consider to be the most likely one and is also the most interesting one. 1. Hoffa in Brazil: Much like Elvis and Jesus, some conspiracy theorists believe Jimmy Hoffa didn’t die. Instead, rumor has it that Hoffa escaped the clutches of the law and rival mob factions by running off to Brazil with a go-go dancer. If he was still alive, Hoffa would be 100 years old, so the odds of him being alive to this date are slim; however, it’s plausible that he lived for years after 1975. Oddly enough, Hoffa was born in Brazil, Indiana, which could be evidence of conspiracy theorists confusing their geography and the cruel sense of irony that goes into picking the names of towns in Indiana. 2. Hoffa abducted by aliens: In 1977, Tom Dawson, a retired resident of Georgia, claimed he was abducted by aliens. During their requisite probing and prodding of Dawson, he claims he saw a bright light and a voice that called out “I am Jimmy Hoffa!” three times before being cut off. No further prove have ever been found about this theory. 3. Hoffa killed Robert Kennedy: Robert Kennedy, the attorney general who successfully sent Hoffa to jail, was assassinated in 1968 by Sirhan Sirhan the night after he defeated Senator McCarthy in the California primary. Conspiracy theorists speculate that Hoffa ordered the hit on Kennedy after working out a deal with Richard Nixon. Nixon later pardoned Hoffa and Hoffa allegedly donated half a million dollars to Nixon’s campaign. Some theories even posit that Sirhan Sirhan had mob connections. Despite the rumors, no complicity between Hoffa and Sirhan Sirhan has ever been found and, despite the rumor cropping up every year when the Hoffa disappearance rumors begin, no one has suggested a connection between this story and Hoffa’s demise. 4, Hoffa was in witness protection: Hoffa’s sudden disappearance in 1975 has led to numerous theories about his whereabouts, but none so enduring as the theory that he is holed away in federal witness protection, providing the FBI with a wealth of information about the Mafia. If this is even remotely true, the FBI is staging an elaborate cover-up by constantly digging up Detroit looking for him. Until here the minor conspiracy theories about Hoffa. Or at least the ones for which there is not a lot of proof. And now we come to the most interesting, fascinating and also the most likely theory. Was Hoffa involved in the murder of John Fitzgerald Kennedy? Here the theories run wild. But before looking at how Hoffa was murdered, and must important of all, why he was murdered, we should look at who was Hoffa. 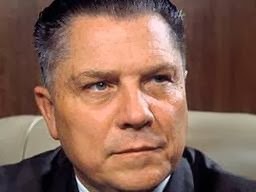 Jimmy Hoffa was born on February 14th 1913, in Brazil(Indiana). He was the child of a poor working family. His father was a Dutch mine-worker who died when he was only seven years old. His mother was a housewife. When his father died, he was old enough to understand that the cause of his dad's death had been caused by the bad working conditions in the mine. That is, that his father had been worked to death. That produced in him an aversion against the bosses and a determination not to end up like his father. In 1924 he moves with his family to Detroit. There he took a job loading and unloading trucks. A very hard job. Where he only got paid when he loaded or unloaded trucks. A job not much better than the one his father had at the mine. There the young Jimmy became an active trade-unionist. He rose to prominence when he led a strike in 1932. By 1940 he was chairman of the Central States Drivers Council, and two years later he was president of the Michigan Conference of Teamsters, the most powerful transport trade-union in Michigan. There started his first mafia ties. 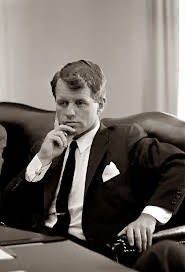 Robert Kennedy, chief counsel of the committee, was instructed to collect information and discovered several financial irregularities. This included taking $85,119 between 1949 and 1953 from union funds to pay his own personal bill. The investigation also revealled that a Seattle builder had received $196,516 out of union funds to pay for work done on Beck's home. 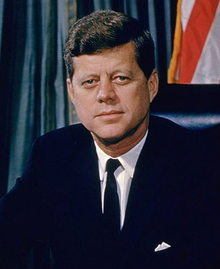 The investigations were televised and Kennedy's questioning turned him into a national political figure. Beck was eventually imprisoned for five years and Hoffa became the new president of the Teamsters Union. Now Hoffa was effectively one of the most powerful men in the United States. One word from his mouth to call a strike could paralyze the US economy. At the age of 43, he had risen from a simple truck loader to one of the most powerful men in the US. That earned him the aversion of many rich and powerful people, who didn't like upstarts. Especially his mutual antipathy for the Kennedy's was good known. Hoffa has been much criticized because of his mafia ties. But let's situate that in it's proper historical context. In the years that Hoffa became a prominent trade-unionist(during the Great Depression), security forces were literally shooting and murdering demonstrating and striking trade-unionists. What Hoffa needed was muscle to fight back, and the workers themselves alone didn't have that. Hoffa made a deal with the mob in which in exchange for the gangsters protecting the unions against the police and the hit-men of the bosses; Hoffa would give them loans from the truck drivers pension funds. If JFK was killed by the mafia, as the movie "JFK" suggests, and he probably was, then the mob didn't do it alone. It is very possible that they did it in collusion with the CIA. The presence of Lee Harvey Oswald, a man who had trained in CIA camps very much indicates that. But Oswald was only a patsy set there to mislead. The mafia was fed up with Kennedy. After they helped him to become president, he launched a crackdown against the mob which was unprecedented in the history of the US. The mafia shared an objective with the CIA: to kill Fidel Castro. 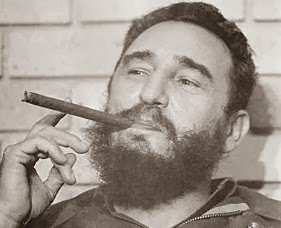 Early in 1961 the CIA convinced the young and inexperienced president that Castro could be overthrown through an invasion which would start at the Bay of Pigs. Of course the invasion failed. Kennedy was infuriated and said that he would break the CIA in a thousand pieces and blow it to the wind. Since then the relations of the president with the Agency weren't good. But, why would the CIA be interested in killing the president? That's difficult to say. The Agency always had it's own agenda. There are also intelligence services in the US that are even more secretive than the CIA and not even the president knows about what they are doing, or if they even exist. Some say that Kennedy wanted to make public the UFO files. Others say that he wanted to make peace with the Soviet Union. I don't know, but the question is that they killed him, or at least they ordered his murder or they killed him together with the mafia. Anyway, that's not what this article is about. I was going to talk to you about Hoffa's disappearance. I know that this month is the 50th anniversary of Kennedy's murder, but I promise you that I'll talk to you about Kennedy's murder some other time. But Hoffa's disappearance has a lot to do with Kennedy's murder. Hoffa wasn't part of the mafia, but he had close ties with it. He also had good reasons to kill Kennedy. His enmity with the Kennedy brothers goes all the way back to 1956. When he was questioned in a really hard-handed manner by them. In the presidential election debate of 1960, John Kennedy said that he wasn't amused to see men as Hoffa at the head of national trade unions. 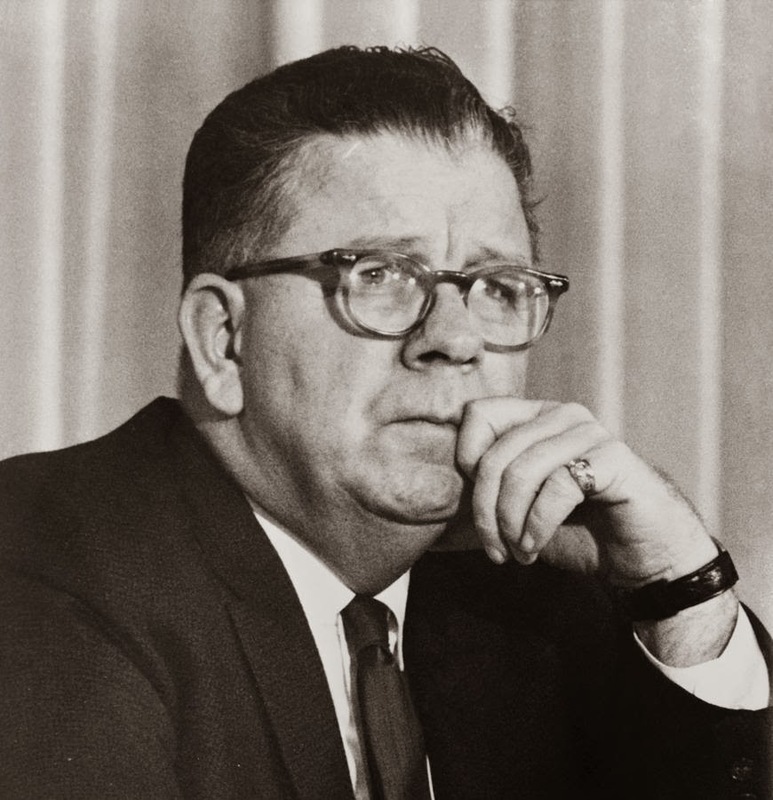 When JFK became president, he named his brother Robert attorney general, who is said to have started an investigation unit with the sole purpose to get Hoffa behind bars. If that's true, it would mean that RFK suffered from tunnel vision. An attorney general should investigate facts, not people. What is clear is that the mob was deeply involved in Kennedy's murder. There is no doubt that the mafia had the capacity to organize a hit like that. But they must have needed some covering for it, otherwise the consequences of it could have been enough as to destroy the mob for ever. And this covering was given to them by the Central Intelligence Agency. According to Charles Crimaldi, a former mafia hit-man who was a Government informant, Hoffa was the go-between man between the mafia and the CIA. The mafia had many businesses in Cuba before the revolution, mostly in the gambling industry. So they had the same interest in seeing Castro dead as the CIA. There were different plots during the 60's of the mafia together with the CIA to kill him, but not one of them gave result. Some say that they did actually kill Castro and that the Cuban government put a double in his place, but I won't go into this now. Even if he was indeed killed, that doesn't change anything in our story. 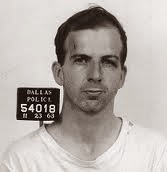 Jack Ruby, the murderer of Oswald, had ties with organized crime and with the CIA. How could Ruby walk with a gun into security zone and shoot Oswald? Was there somebody that wasn't interested that Oswald would declare? If Oswald said that he was only a patsy, of who was he a patsy? Of the CIA? Of the mafia? Or of both? In February 1964, a memo of the Warren Commission, related Ruby to Barney Baker, a thug who was working for Hoffa. The same memo listed the Teamsters on top of a list of organizations that may have been interested in killing Kennedy. Of course, Hoffa knew that if John Kennedy died; his brother Robert would quit as attorney general. Two days after JFK was shot Hoffa told a reporter: "Bobby Kennedy is just another reporter now". Many conspiracy-theorists suggest that LBJ was also involved in Kennedy's murder. But I'll talk to you about this theory some other time. In 1964 Jimmy Hoffa was sentenced to fifteen years in prison for jury tampering. Frank Fitzsimmons became president of the Teamsters. Initially the understanding was that Hoffa would continue leading the Teamsters from the jail and that Fitzsimmons would only be a figure-head, but soon after Hoffa was jailed, a power struggle ensued. Fitzsimmons was more malleable to mafia interests. Under Hoffa the mafia had access to Teamsters funds, but Hoffa continued being the boss. With Fitzsimmons the Teamsters were totally controlled by the mafia. Under these conditions, it isn't surprising that the mafia didn't want Hoffa back in power. And so the Teamsters divided in two factions a Hoffa faction and a Fitzsimmons faction. In the presidential election of 1968, the Hoffa faction supported the republican candidate Richard Nixon, meanwhile the Fitzsimmons faction supported the democrat Hubert Humphrey with the rest of the labor movement. The Hoffa camp made a contribution to the Nixon campaign, so it isn't surprising that Nixon freed Hoffa in 1971, but with the condition that he would not lead any trade-union until 1980. From the time he was freed, until he disappeared, Hoffa was fighting to return to the leadership of the Teamsters. Three weeks before Hoffa disappeared, Richard Fitzsimmons was victim of a terrorist attack. Fitzsimmons was not hurt. Allegedly the attack was carried out by Hoffa supporters. Immediately Fitzsimmons cracked down on Hoffa's followers. Or maybe Fitzsimmons planned the attack himself to have an excuse to crush dissent inside the Teamsters. Or even better, his mafia manipulators did it to set up the stage for Hoffa's disappearance. As for the disappearance of Hoffa itself we know who ordered the hit: Russell Bufalino, a Pennsylvanian mobster. Hoffa had an appointment with a still unknown mobster at a restaurant called the Red Fox. 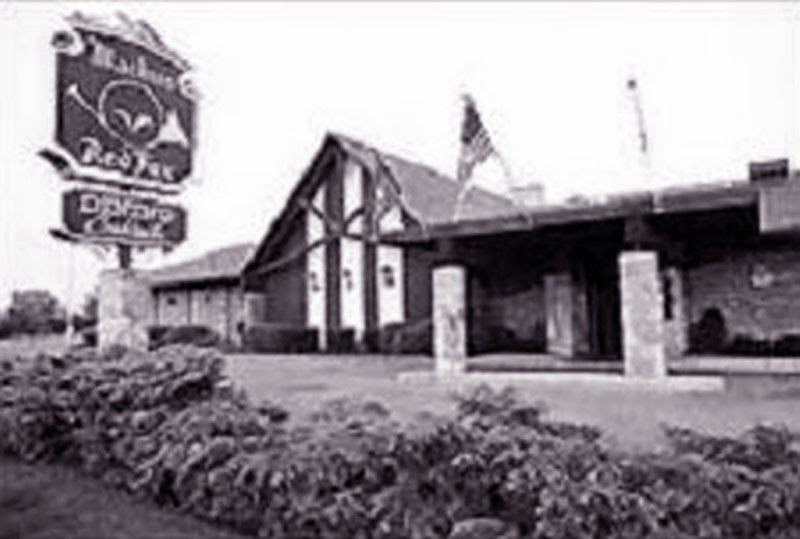 The Red Fox restaurant, the place where Hoffa was seen for the last time. Supposedly, Charles O'Brien, a man who Hoffa trusted, picked him up at the restaurant and took him to the house where O'Brien was staying. Hoffa would never get out of that house alive. Some time later Ralph Picardo, a government informer told investigators that after Hoffa was killed, he was stuffed into a 55-gallon oil drum and was taken on a Gateway Transportation truck to an unknown destination. But about the location of Hoffa's body, there are as many conspiracy theories than about his murder. From being buried under the Giants Stadium in New Jersey to being made into hot dogs. To this day the feds are still looking for his body. But OK, why was Hoffa killed? Was it the result of a power struggle inside the Teamsters? Not very likely. When he disappeared he had very little chances left to get back the leadership of the Teamsters. Probably he was murdered to stop him from testifying in front of the House Select Committee on Assassinations. And that makes a lot of sense. In 1982 he was officially declared dead. But one thing is sure. Almost forty years after he disappeared, James Riddle Hoffa continues being just what his name says: a riddle.